Home » Real Estate and Homeownership » Is a Home Warranty a Smart Home Expense? With the housing market in the United States leaning in favor of the buyers, sellers are offering a variety of incentives to sell their homes. One popular incentive is a home warranty. Having a home warranty offered to you is definitely a positive. When one is not offered, you will need to consider whether a home warranty is a necessary expenditure. The age of the home largely influences your need for a home warranty. If the home is a new or recent build then the likelihood of something breaking is slim. An older home (5 years or older) has a better chance of experiencing issues that would make a home warranty a benefit. If major appliances like the furnace, air conditioner, washer, dryer, and hot water heater are aging, the chances of them malfunctioning is higher. Be sure any home warranty you purchase covers appliances such as those mentioned. You may need to purchase an additional rider to cover them. Compare the cost of service calls, item replacements and any extra parts or tools that need to be purchased when something breaks or is damaged. Consider how much money you could be paying and if the cost of the warranty outweighs the repair costs. Another consideration is the effect a repair or more than one repair in a year could affect your financial situation. If your home is aging and over the course of a year, one, two or more items need to be repaired or replaced, can you pay for the cost without suffering? There is a difference between home owner’s insurance and a home warranty. A home warranty can cover items that need repaired or replaced while home owner’s insurance protects your home and its content against damage or loss. Home warranties do not cover structural issues and will list the items that are covered. If you aren’t buying a home and expecting a warranty from the seller and are considering a home warranty for a home you already own, is a home warranty a good idea? An alternative to buying the home warranty is to set aside the annual premium in a savings account for a few years in order to self-insure. This is a different risk-reward trade: you’re risking something breaking before you have saved enough money to cover it on your own. However, if nothing breaks for a few years while you save, you won’t have wasted the money on home warranty premiums. Plus, any money you save in an account can earn a bit of interest income for you. A home warranty won’t ever pay you. How Healthy is Your Home Warranty Company? Another factor to consider is the financial health of the warranty companies you are considering using. Similar to other insurance businesses, your premiums can be wasted and lost if the insurer goes out of business. If you do elect to go with a home warranty company you want to make sure that when you need to file a claim they will still be around to pay for your needed repairs. A friend of mine bought his house 2 years ago and it came with a 1-year home warranty. 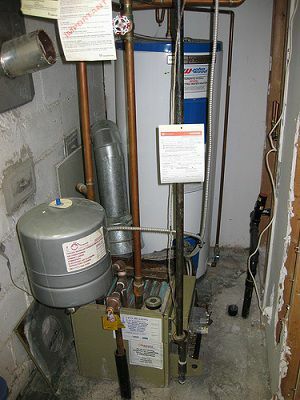 During the first year alone, the warranty covered several repairs that include their bathroom exhaust fan, several faucet leaks, two refridgerator repairs, and the replacement of the laundry machine. He saved over a thousand dollars as a result of having the home warranty coverage, so he decided to continue the coverage for the second year. Again, the warranty helped him covered the repair costs of a busted water pipe, a kitchen faucet replacement, and a broken central A/C unit. Obviously, this worked out well for him, but I don’t think his experience is typical either. There have been many problems with home warranty companies, they may not cover certain expenses, no longer be in business, decline the claim. I would really need to be sure before I buy.